I receive a lot of emails from companies who want us to test and evaluate their firearms, or accessories. We do not crank out quick reviews, so I am very picky about what ends up in our hands because of the time needed to really get to know something that ends up in our magazine. The email I received from Michael Garrow definitely piqued my interest. It was simple and to the point, “I’ve patented the first gas-operated 17-HMR upper for the AR-15. It operates on the (gas) direct impingement principal. It also attaches to any mil-spec lower without magazine adapters or modifications, minus replacing the buffer which I’ll include”. I love rimfire rifles and the innovation that revolves around them functioning in the AR15 rifle platform. Because of this, I jumped at the chance for us to test out the Garrow Firearms Development 17HMR AR15 upper. 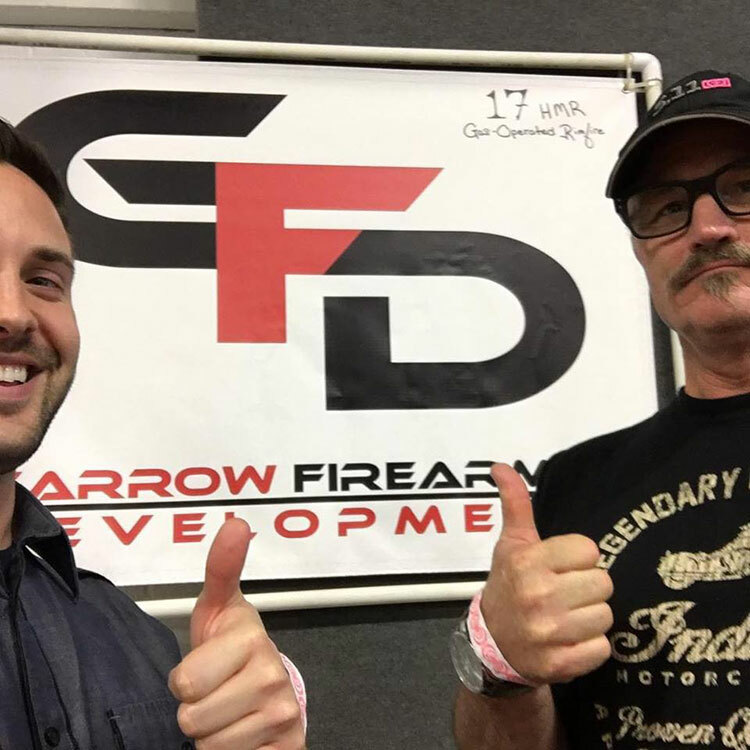 Michael Garrow is the man behind the design that became the GFD AR17HMR Upper. He grew-up on a farm, where having a firearm handy to take out any pests or varmints was a given. Later in life he went into the construction business, where he started designing for his construction projects, as well as for improvements on tools used in the construction industry. Approximately three years ago, Michael was invited to go on a ground squirrel shoot. The recommended caliber to use? The 17HMR. 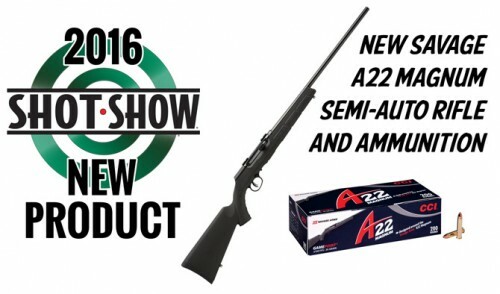 While searching for an affordable semi-auto 17HMR, he ran into the stories we have all read, about the 17HMR firing out of battery in converted rifles not set-up properly to shoot the extreme pressure spiking 17 caliber. This started his journey to design and build rifles that could handle the 17HMR, but do it in an affordable way that would also keep people safe. He worked on his idea at home on the lathe and mill that he had in his garage. After working out the ejection system with a locked bolt and a direct gas impingement system, then redesigning many of the parts to make sure he was using the least amount of parts necessary, he decided that his idea was ready for testing, then release to the public (which is where we are at now). Michael gets a lot of questions about his idea, but the one that tops the list is “What’s next?”. 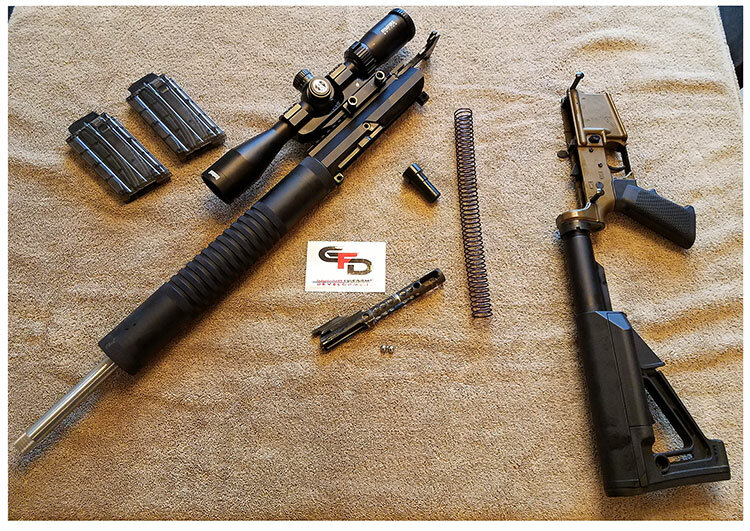 GFD’s future plans include taking a look at a .22 Magnum upper, as well as some other ideas that hope to improve AR15 parts with an end goal of better accuracy. They are definitely another company to watch for future innovation. Complete upper with 18″ threaded barrel, aluminum handguard and upper receiver (side-charging). 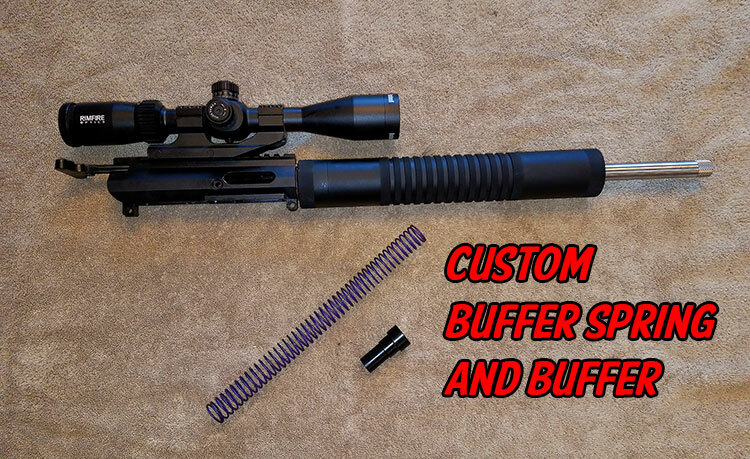 Custom bolt carrier group and bolt, with two rolling locking balls. Custom buffer and buffer spring conversion. 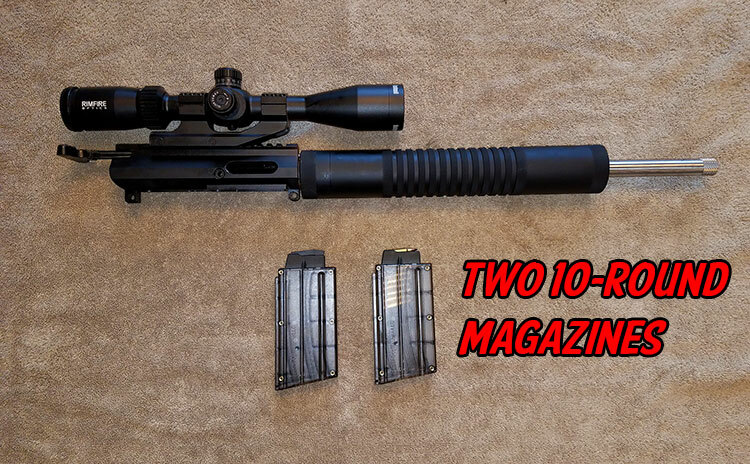 Two Ten-round AR15 magazines for the 17HMR. Within our video, we are including a short demonstration of how to put your rifle together once you receive the kit. Assembling the upper and installing it onto your complete lower is a simple task that will take just a few minutes to complete. Pay attention to the rolling locking balls, because those are not attached permanently to the BCG, so they can run loose if you are not paying attention. After completing the initial cleaning that we do with any rifle we receive for review, we installed it on an Aero Precision Gen1 lower, with a CMC 2 stage 2lb trigger already installed. This lower also has a Magpul STR Stock, that has an adjustable length of pull. Once assembled, we mounted a Bushnell Rimfire Optics 6-18x40mm scope onto the rifle. This scope crossed our radar when it was on sale recently at Amazon for $114.00. The BDC and side-focus turret were options that are great for rimfire hunting, so we felt the marrying of this optic and the Garrow 17HMR would be a good fit. 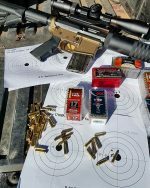 If you’ve seen our past reviews, you already know that we spend a lot of time shooting any rifle we are reviewing at the range. Our results are based off shooting many different brands, over the course of many weeks. Our shooting set-up consists of a Caldwell Stable Table bench, with weighted bags front and back. We do not shoot for groups unless the weather is perfect for shooting and we always shoot groups before, then after, our hunting trips. This gives us a chance to familiarize ourselves with the rifle, while also shooting initial groups and sighting in for the upcoming hunts. After we return from our hunts, the added field time gives you more time behind the rifle, so our second batch of groups always end up tighter and more consistent (the break-in period helps as well). Our 5-shot groups were each shot at 100 yards, with the best and worst groups being taken out of the total of #10 groups shot with each set of ammunition. Individual ammunition was all the same lot #. The range conditions were consistent, with temps being in the low 50s and very little wind. The thread protector was removed while shooting for groups from the bench. 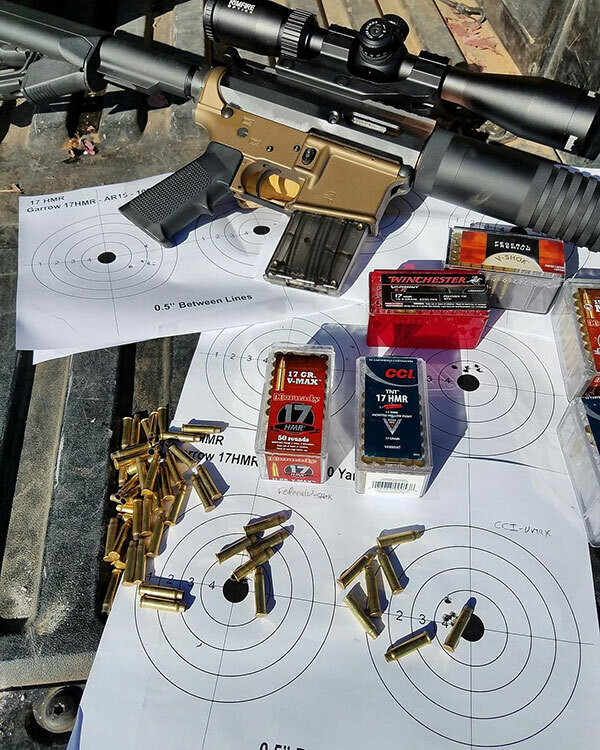 There is no doubt that the upper we tested is a consistent sub-1/2″ to 3/4′ shooter at 100 yards, with the right ammo. Our best groups came from the Federal V-SHOK ammunition. 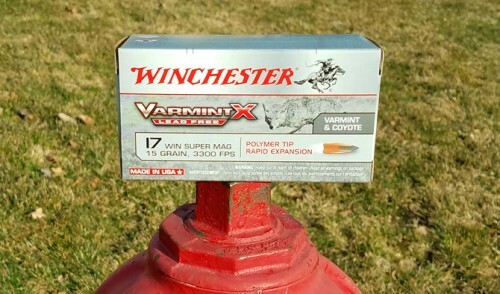 These are loaded by CCI and have the 17 grain V-MAX bullet. The worst groups we had came from the Winchester lead free ammunition. This ammo is loaded with the 15.5 grain lead free bullet and really opened up during our tests. 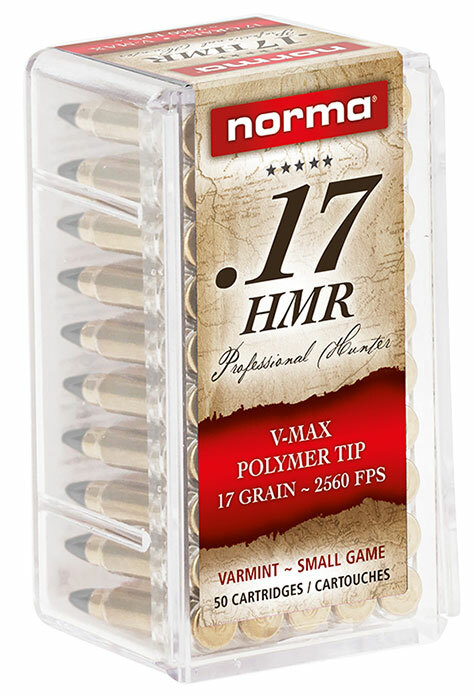 The Hornady 15.5 grain NTX (also lead free) ammo did give us consistent results, which were from some older lots of ammunition (4 years). All ammo cycled through the rifle, including the lead free ammo from Hornady and Winchester. Our chronograph results were consistent with the velocities listed by the manufacturers, so we did not list those results. Two weeks ago, we released our Hunt Report portion of this review. 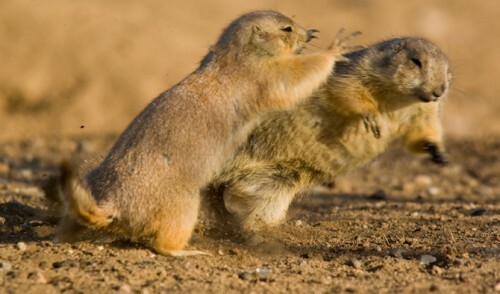 We did not have any issues while out in the field, and the accuracy and consistency allowed us to kill a few dozen prairie dogs, cleanly and with little effort other than placing the crosshairs on the targets. It handled nicely while walking around and also functioned very well, considering all the elements it had to endure during the hunt. The 8lb. 14oz. rifle, scope, ammo combo was not too heavy and allowed for a nicely balanced rifle, especially when shooting off a Bog-Pod. If you want to catch up with our Hunt Report, click here for the full video. Since receiving this rifle for testing by Garrow Firearms Development, we have shot a minimum of 860 rounds while out in the field, or at the range. It is a very well thought-out firearm, that offers everything a varmint and small game hunter would want: accuracy, consistency and no issues with functionality. In terms of a hunting rifle, it is clear that the AR15 is one of the best tools (and most popular) out there for hunters. While the 17HMR caliber limits you to small game and varmint hunting, the option of converting your centerfire AR15 into a 17HMR rimfire rifle for hunting, or just plinking, is a benefit for anyone who shoots. The GFD 17HMR upper is a great option for serious hunters who want a semi-auto 17HMR, that is better in build quality than a Savage A17, but also much less expensive than a Volquartsen. 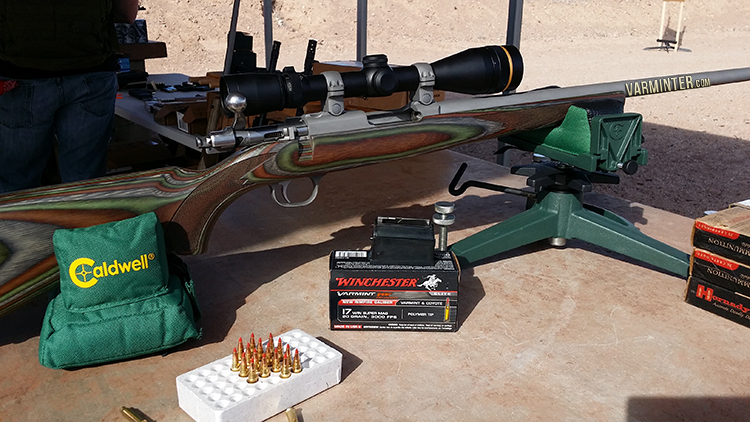 The direct gas impingement system works well for consistency with most of the currently available 17HMR ammunition, even the lead free ammo that will be required statewide in California soon. 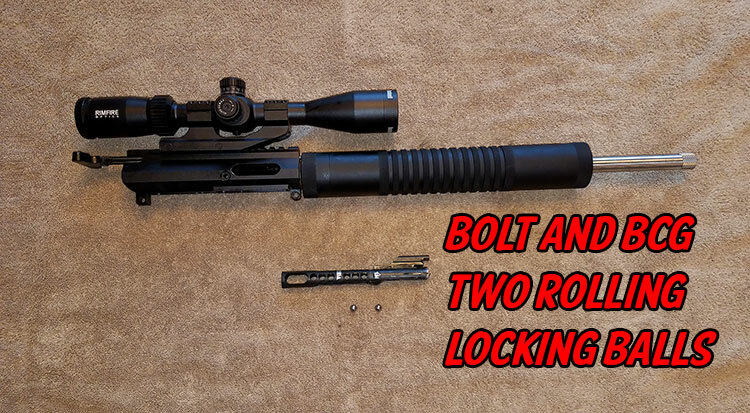 The locked bolt system offers the extra safety we look for in a rifle carried in the field, preventing the firing pin from hitting the primer until the bolt is locked into place. That removes any firing out of battery situations. By lightening the bolt, the felt recoil and movement on this rifle is almost non-existent. I was able to stay on target while hunting prairie dogs, which allowed me to confirm my kills (or misses) immediately after the bullet struck. I recommend this Garrow Firearms Development upper to anyone who is looking for an accurate, consistent, rimfire shooter. 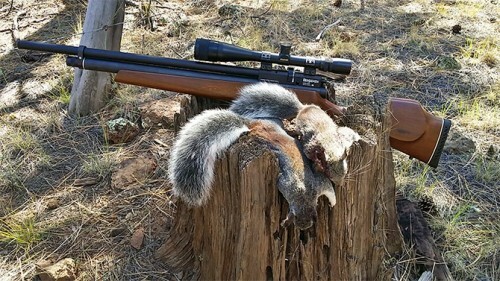 The 17HMR caliber is very versatile, but in an AR15, it is a nightmare for varmints and small game! We will be hunting with this rifle through-out the winter and possibly in spring 2018, so stay-tuned to our social media sites to see more of this rifle in real world action! Head over to the Garrow Development Site to buy one, if you’re interested. We are not the only ones impressed with the Garrow Firearms Development 17HMR, other sites, like the folks at the Survivalist Blog, also felt the same way after their testing. I repeat this often, so if it sounds like I am repeating myself again, bear with me. California has implemented their new ban on AR15 rifles. This ban requires the law-abiding California citizen to forego many Second Amendment protections the rest of us have. Fortunately, the current ban does not include any AR15s that are chambered in rimfire cartridges. This means you can still shoot your normally configured AR15, by purchasing a rimfire upper and installing it on your rifle. If you still live in California and wish to shoot your AR15, without all the modifications, then purchase a rimfire upper and enjoy your rifle the way it was meant to be enjoyed. With the lead free ammo being available, it will also allow you to hunt with your AR15 after the state-wide ban goes into effect. I’ve said this before, but gun manufacturers and owners will always be smarter than the anti-gunners. Innovation keeps our industry alive and the antis at bay. Support this innovation whenever you can.